New small independent business, Rocket Hair opens in the heart of High Wycombe. A friendly, relaxed and contemporary hair salon. Goodchilds provided a full service start-up business package solution which included everything from their new logo to the amazing LED exterior signage. “The new business package was great. 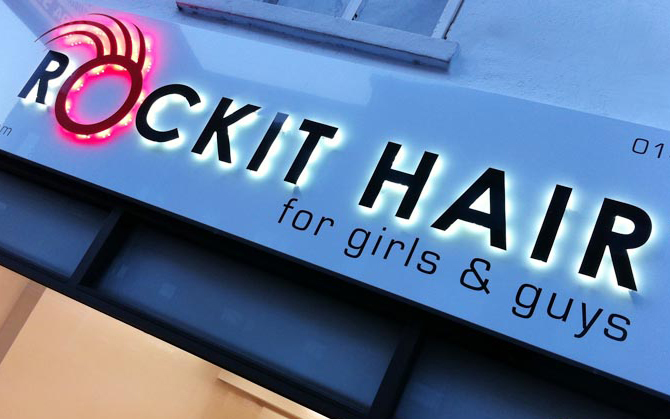 At first I couldn’t believe there weren’t any hidden charges, truly a value for money service.” Edward Harper – Rockit Hair Proprietor.